1 hr for $299 10 Balls. This package is perfect for a group of 10-16 players. Ask about our party add ons like Spike Ball, Yard Pong, Giant Jenga, Kan Jam, Corn Hole Boards and more!!! Participants are encouraged to wear althetic wear. Shoes required unless reservation is at the beach. All participants must sign waiver and anyone under 18 years old must have a parent or gaurdian sign their waiver. Rental includes additional 60 minutes for set up/tear down, one field coordinators/referees signing waivers, safety instructions and game rules explanation. 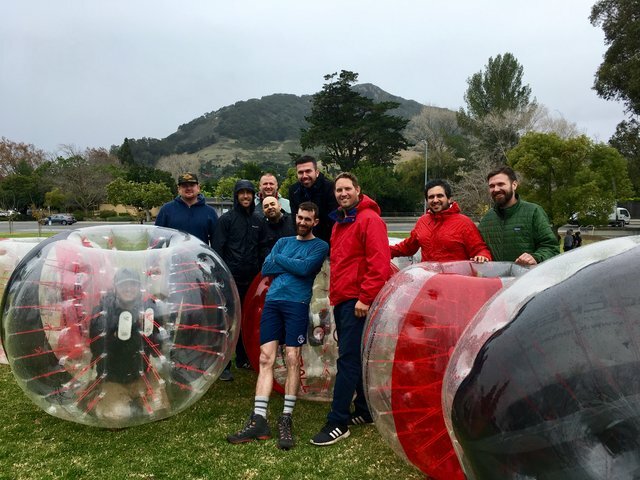 Renter is responsible for obtaining all permits required by city if your event is at a public park unless specifically requested to have Knockerball SLO obtain permit for an additional fee.